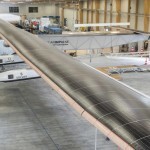 Solar impulse, the 100% sun-powered Swiss aircraft, is nearing the starting blocks of its around the world flight. 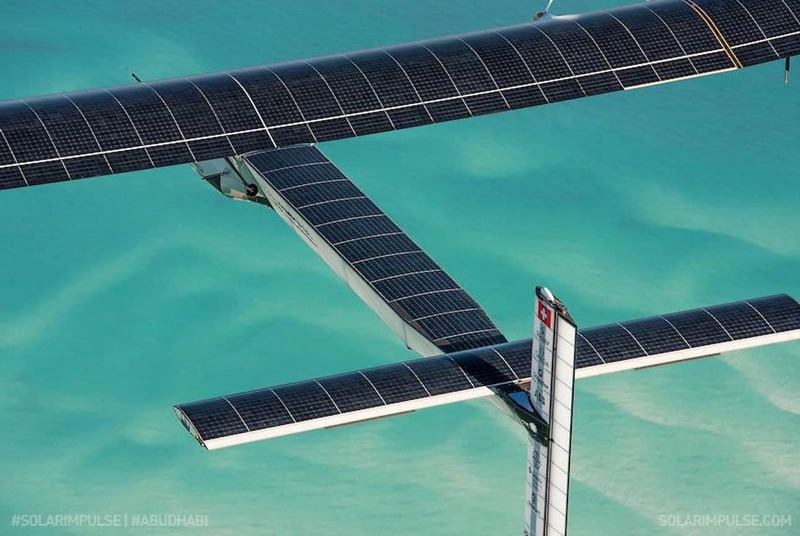 After recently completing three training flights in Abu Dhabi, the start point, the team is ready and predicts take-off on 7 March 2015. 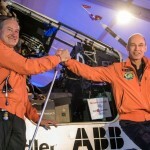 Back in 2014 the Solar Impulse team, after demonstrating that they could fly their solar powered airplane day and night without fuel, set themselves the challenge of flying around the world. In a few days this dream will start to become a reality. Yesterday the aircraft was left under the baking Arabian sun, for probably its final sunbath before take-off – the aircraft needs to sunbathe to soak up energy from the sun to charge its batteries. Here is the inspiring sight of plane + GoPro in the sky over lake Neuchatel. 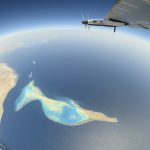 Here is a video of the first Abu Dhabi test flight.